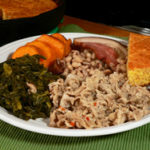 Follow our step-by-step, photo illustrated recipe to prepare Chitlin Loaf. 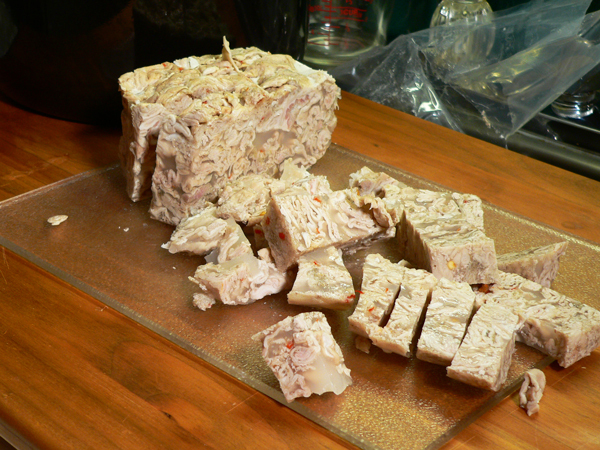 Whether you call them Chitlins, or Chitterlings, we’ll show you how to enjoy them. Chitlin Loaf is probably the easiest and best way to try them. Printable recipe included. Whether you call them Chitlins, or Chitterlings, they are still hog intestines. You just can’t get around that part of the story. I guess calling them Chitterlings is suppose to make them sound more sophisticated, but they will always be Chitlins around Taste of Southern. I have absolutely no memory of Mama, or my Daddy, ever cooking Chitlins. I don’t have any memory of them ever eating them. Older brother says he doesn’t either. Despite the fact that we raised hogs in my younger days, and despite that we killed and butchered those same hogs around Thanksgiving each year, Chitlins weren’t on the menu. At least not that way. When the intestines were removed during “hog killing” time, they were emptied, cleaned, cleaned, and cleaned a couple of more times. As you can imagine, the smell was atrocious around that area during the process. Pig intestines, once cleaned, were referred to as “casings.” These casings were often used to stuff the homemade sausage into, then hung up in the smokehouse and allowed to air dry for use later throughout the year. Chances are, if you’ve ever had any truly old fashioned, homemade, link Sausage, you’ve tasted pig intestines. For the record, I recently turned down some fresh intestines that were offered to me from a hog killing that older brother and I had been invited to attend. I could have done the whole complete thing, but I passed on the opportunity. Wonder why? Smile. 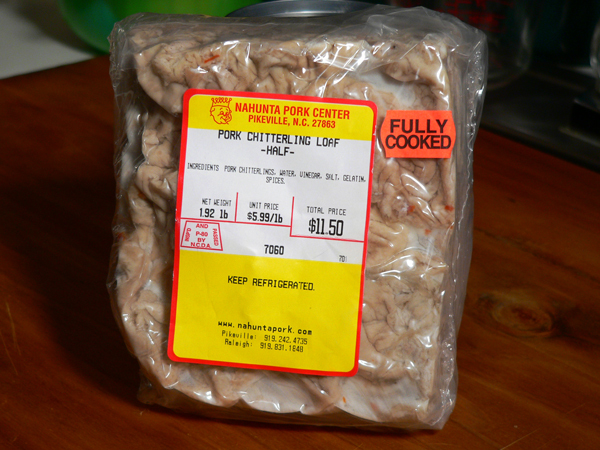 Instead, I purchased a “half-loaf” of Chitterlings, fully cooked, from Nahunta Pork Center down in Pikeville, North Carolina. This is a large retail center that sells only pork products and a few frozen vegetable items. Nothing else. On a recent visit, I met a lady that was buying about $100.00 worth of these Chitterling loafs. I waited until she came outside the store, then stopped her to ask if she would share with me how she prepared them. She graciously obliged my interest, and I pulled out my phone and videoed her telling me how she does them. Her name was Pat, and she was from Florida, visiting her sister in the area. Pat was taking Chitterling Loafs back with her to Florida to share with family and friends there. One thing that Pat mentioned, was that she would often pour off about half of the liquid from the cooked loaf once it started to cooking. Then, she would add some additional items to make them a little “spicer,” she said. So, with Pat’s suggestions, and those of some other close family and friends, I’m presenting the Chitterling Loaf recipe below. I hope you enjoy the ride. I had only tasted Chitlins once before in my life. I found some, surprisingly, on an All-You-Can-Eat Buffet restaurant that I visited once. I placed a spoonful on my plate, just out of curiosity. When I got up the nerve to taste them, I chewed them a bit, then covered my mouth with a napkin and spit them out. They were so rubbery, I couldn’t eat them. It wasn’t the taste that turned me off, I just realized I’d never be able to chew them. So, did I eat these? My family and friends were pretty shocked when I started talking about cooking some Chitlins. A few said they liked them, but most just gave me really funny looks. Yes, I did eat a few of these, but not all of them. The taste reminded me of Souse Meat, if you’ve ever had that. The vinegar taste also reminded me of our Eastern North Carolina Barbecue that I so dearly love. It really wasn’t bad, and certainly wasn’t nasty if that’s what you’re wondering. The main thing seems to be that folks know they are pig intestines, and that turns them off. I told several folks that if they didn’t know what it was, they would probably like them. Let’s just leave it at that. Ready to give our Chitterling Loaf a try. Alright then. Raise all the windows, open the front and back door, get out the big fans, and let’s head for the kitchen. In other words… Let’s Get Cooking. 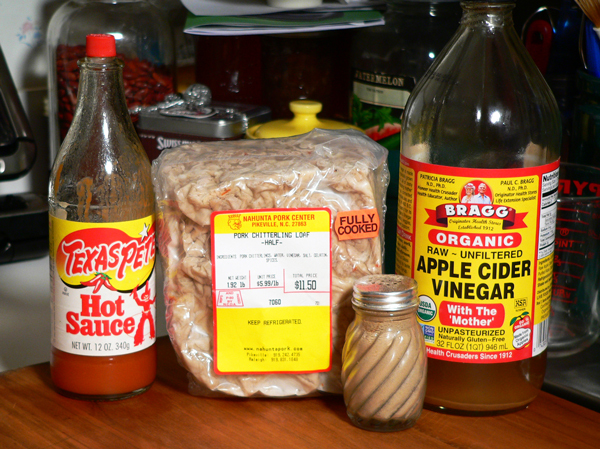 Chitlin Loaf Recipe: You’ll need these ingredients. At $5.99 per pound, they aren’t exactly cheap any more. Here in the South, we can find cleaned chitlins in big red tubs at most Walmart stores, or in our local grocery store. Walmart sells a 10lb tub for less than $10.00. They typically come frozen, and need to be cleaned extra well prior to cooking. 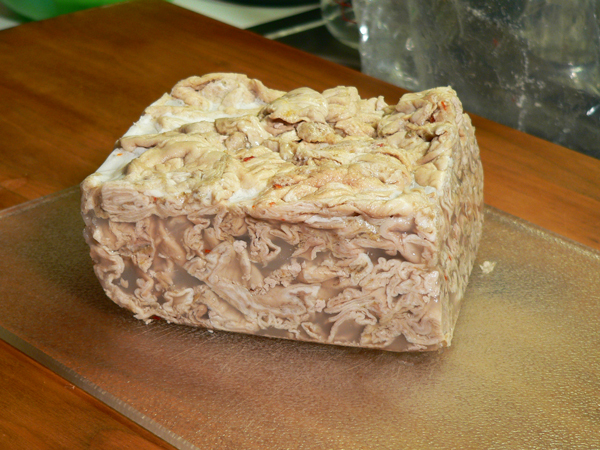 Half Loaf: This is considered to be a “half loaf” of Chitlins. They generally come packaged in tubs that are twice this size as a loaf. Again, these are fully cooked. They already have some vinegar, red pepper, and other spices cooked with them. You can’t help but notice the “earthy” aroma when you open the package. Smile. This is where I purchased my cooked Chitterlings. As you can see, they had a lot of them. That’s because they sell a lot of them. They’re very popular here in the South. You might find chitterlings at your local grocer that say they are “cleaned and ready to cook.” I highly suggest that you search out more information on how to further clean those prior to cooking them. Some even claim to be “Super Clean.” You just want to take a good look at them prior to cooking them. See the gelatin holding everything together? Your’s may contain more gelatin than this one does. I was advised that I might want to remove some of this once it melted down, but there really wasn’t enough of it that I needed to do that. More about that a little further down. I began by slicing the loaf into about 3/4 inch slices. Folks sometimes dredge slices like this in flour, then fry them. Again, that’s another recipe we’ll just save for later. Next, I cut the slices into small cubes. I cut them into smaller pieces in hopes they might be easier to chew when finished. Just personal preference here. Place the cubes in a medium sized sauce pot, over Medium heat, on your stove top. Let the loaf “melt down” before you add any additional seasonings. I was advised that I might want to remove about half of the liquid from this loaf, but this particular one didn’t have very much liquid at all once the gelatin part had dissolved down. So, I proceeded to add my additional items. Go easy on the hot sauce at this point. You can always add more to your personal taste once they’ve been served. Also, they have red pepper flakes already in them, at least these did. 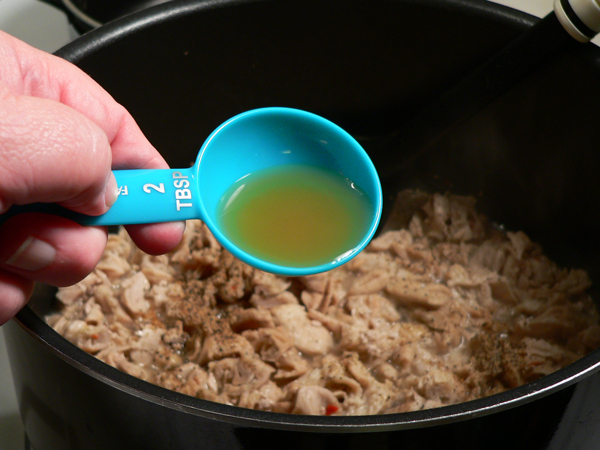 Bring the chitlins up to almost the boiling point, then REDUCE the heat to a low simmer. 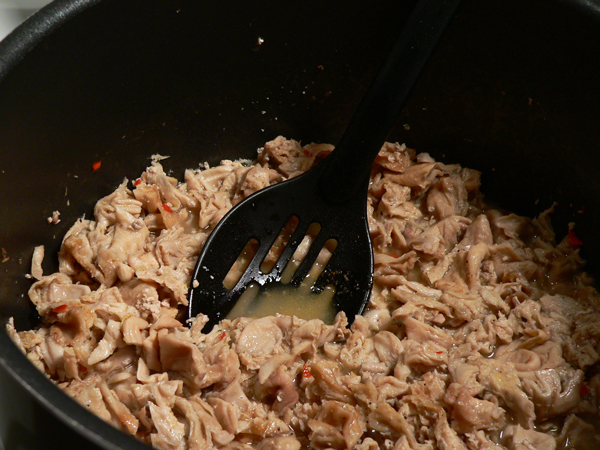 Let the Chitlin Loaf cook for about 45 minutes, uncovered, on a low simmer, stirring often. Just keep a close eye on them and don’t let all the juices cook away. As you can see, there wasn’t a lot of juice in this batch. You could add a little water if needed. You’ll find many folks like them soupy and served in a bowl over rice. Again, it’s a matter of preference. Either way, just let them cook until they are tender. As you might imagine, they do have a unique “aroma” to them. I suspect it would have been even more intense had I been cooking some that hadn’t already been fully cooked. I do plan to do that one day, but I’ll need to let my neighbors know in advance I think. Smile. Serving Suggestion: I served these up with some mixed greens, sliced baked sweet potato, black eye peas with a piece of seasoning meat from the pot, and some cornbread. 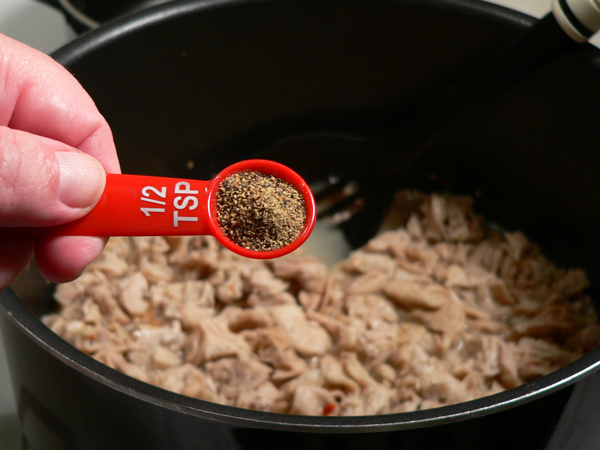 Follow our step-by-step, photo illustrated recipe to prepare Chitlin Loaf. 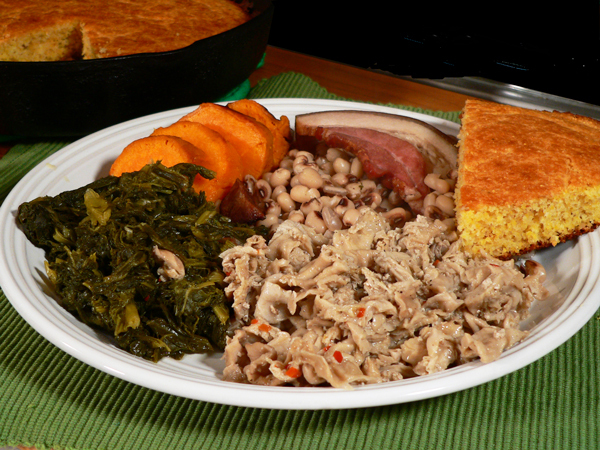 Whether you call them Chitlins, or Chitterlings, we’ll show you how to enjoy them. Chitlin Loaf is probably the easiest and best way to try them. 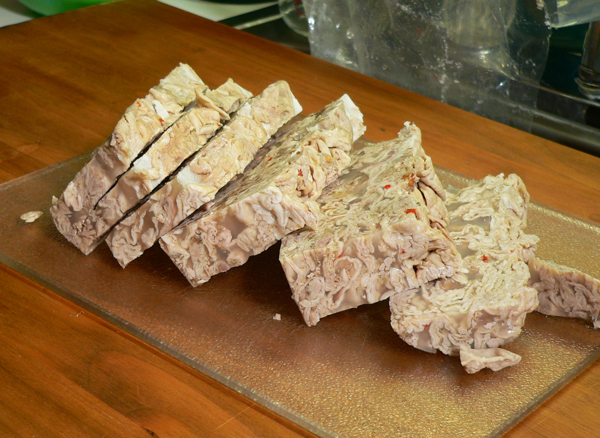 Chop the chitlin loaf into small pieces, as desired. 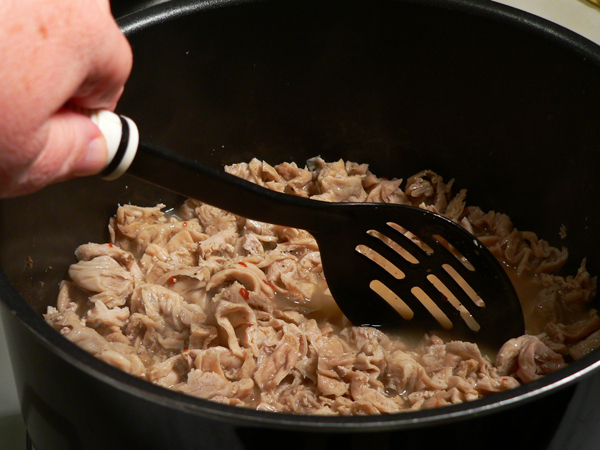 Place chitlins in a medium sized stock pot, on your stove top, over Medium heat. 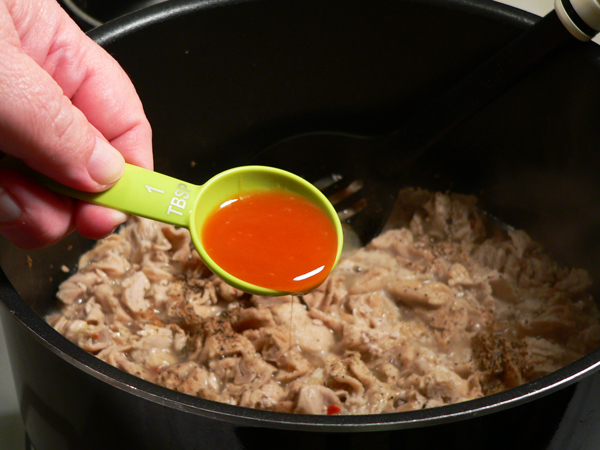 When the gel has melted, pour about half of the gel off , leaving enough to cover chitlins. Add the hot sauce, stir well. Reduce heat to about medium-low. Simmer for about 45 minutes, until chitlins are fork tender. Keep in mind that this is a fully cooked chitterling loaf. 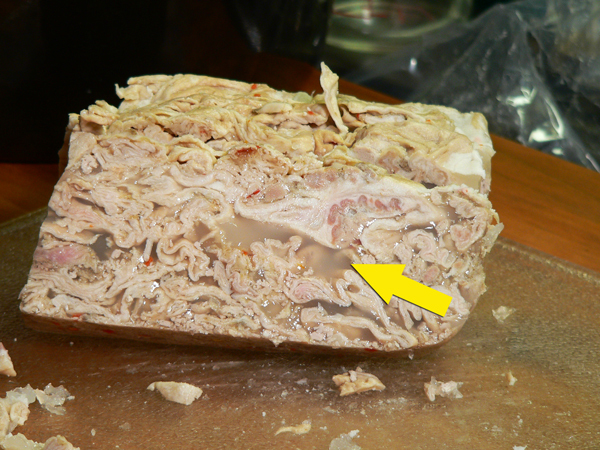 You may find “cleaned chitterlings” in your local grocery store that will need to be further cleaned and then cooked. Your Comments: Have you ever even tried Chitlin Loaf or Chitterlings? I’d love to hear your thoughts on our recipe. It will only take a minute or two for you to leave your comments in the section below. I’d love to hear from you. Back again to comment on brains and eggs. I use a five ounce can of Rose brand brains drained with two scrambled eggs. I cook the brains in bacon grease for a couple minutes and then put in two eggs and cook till done. Very tasty! Don’t look at the 3500 gm of colestral. I tried cooking chittlinloaf but not pleased with the results. Usually eat them at s local black church when they have a selling. Can’t beat the way they fix them. I’m almost 90 and can’t wait until cool weather when they start selling them. They are not fried unless you request them to do so. Either way they are good! I am a northern girl who was raised by southern parents. Chitterlings were always a part of our winter holiday menu. I discovered C loaf at a neighborhood store where the owner would go south ever so often to purchase it by the case to sell in his store. He passed away some years ago and there has been no more C loaf up north since then. I cook them by frying and they’re are delish! I put them in a pot on a low flame. While they’re warming up I dice up onion and fry in bacon grease. Once the chitterlings are warm I pour off all of the juice and put them into the frying pan with the onions. I lightly season to taste with garlic, black pepper, crushed red pepper, hot sauce and a dash of sea salt. I serve them over white rice and needless to say they don’t last very long in my house! I live in the midwest(Missouri 120 miles south of St Louis, MO & 150 miles north of Memphis). Didn like them when I was young but now I will “tear a chitlin up!”. Anyway, I would like to know if I can get a chitlin loaf sent to me because I’ve never heard of that? Would LOVE to try it!!! Hello I’m from Memphis and I just wanted to say. When we cook chitterlings we use a more than generous amount of onion and Bell peppers it is great for the flavor and the smell. The hot sauce isn’t put in during the cook process it’s for after they’re done. They should be cooked fork tender. Being a true Southerner I wouldn’t eat this loaf cause I don’t know who cleaned them and how well. But thanks for the insight. I just bought a couple of loafs for the first time and I followed the recipe to the exact. I love them. I grew on a farm And the only thing I’ve ever known were fresh right out of the hog chitterling. I’m on to something new so no more cleaning for me. Loaf only. Hi I LOVE chitlins! I used to fry them for my Daddy. I liked them fried ok but prefer just regular boiled ones. My question is well I guess it’s more of a statement. When we eat out and have chitlins a lot of times they have added pork ears and different parts of the hog in them and they call it soul loaf. I prefer just my good ole chitlins by themselves. I ate chitlins regularly while growing up in N.C. In fact, my sis and I were responsible for cleaning them out on hog slaughtering say. Now I can’t stand to eat them nor smell them or even think about cooking them! We also ate scrambled eggs with pork brains. YUCK to even think about that today. I enjoyed your column and read the recipe and looked at the steps for making it; however, I’ll pass and wait for the next one. Hi, Steve. I really do look forward to reading your newsletter on Monday morning. I was born in a small farming community in Scott County, Tennessee, and while reading your letters I am reminded of my childhood that I spent there. Those were good memories, and although I have spent my adult life living in the Cincinnati area, I still follow the traditions of my heritage especially in the area of food and cooking. I enjoyed your letter about cooking Chitlins but have never tried them. I don’t believe I want to. Thanks again for your letters. 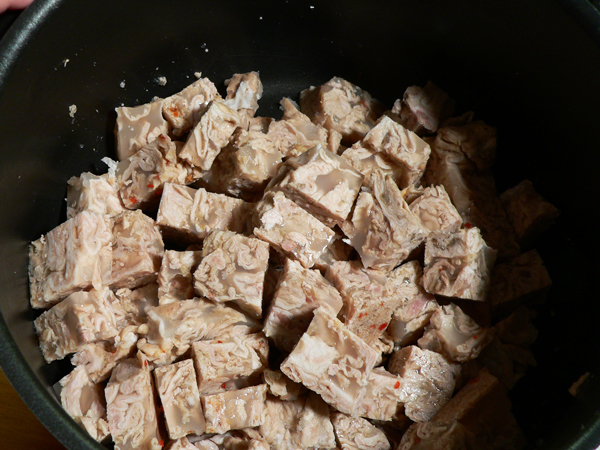 Do you have a recipe for souse? When I was young, I helped my mother make her version which was meatier, spicier and better than the store bought versions. I never wrote the recipe down and it went to Heaven with her. Cleaning chitlins was my job on hog butchering day. Can’t say it was my favorite job, but everybody had their specific duties. Quick story you might enjoy: My mother called her souse “hog head cheese”. My husband would not even taste it, he couldn’t get past the name. He was working on a tugboat and the captain bought sandwich supplies which contained several packs of souse lunch meat. My husband ate souse sandwiches and asked me what souse was, he had never heard of it and he liked it. I told him he didn’t want to know. He kept bugging me, so I told him what it was. After that he tried my mother’s version and liked it better. That’s what happens when a city boy marries a country girl. Love your recipes and blog. I love them. We eat them only on New Year’s Day with Collards, Black-eyes, yams, cornbread and sliced tomatoes. I have never used the vinegar. I cook with lots and lots of onions and garlic, bell pepers and a bay leaf. You are a brave man! My family ate chitlins but not me. The smell is quite unique and that was enough. Even though I NEVER plan to cook these, I enjoyed your newsletter, recipe and the history about them. Thank you! Chitlins? Honestly, Mr. Steve? I don’t know that I can trust you anymore. I’ll have to drag myself to look at your “used to be” wonderful cooking website in the future. The next time I visit I hope you’ll have something marvelous to make up for this. I’m so disappointed. Never have eaten any but my daddy would always take them to the shoe shine man in the barber shop where he got his hair cut. My daddy always took them to town the next day and he was always happy that he was able to make the shoe shine man and his family happy around Thanksgiving. I was very small but I went with daddy to the barber shop and got to meet the nice shoe shine man several times. Steve, I appreciate your straightforward introduction to chitterlings. Some people prefer to skip over the part related to the history. Yes, the slaves on the plantations learned to make the most of whatever forms of protein made available to them. Southern cooking would not be what it is today without the creativity, blood, sweat and tears of the enslaved people on the plantations. My mother was born & raised in North Carolina, but she raised her children in Ohio. I am pretty sure we had chitterlings served to us at one time or another…but my parents would have “snuck” it into the meal without our knowledge. I have a vivid memory of my father serving us scrambled eggs one morning that seemed to have an “off” odor. We ate the eggs (holding our noses) and afterwards he laughingly told us he had cooked the eggs with hog brains. We were grossed out, and needless to say, I learned a lot about our fathers sneaky methods. As an adult, I now realize he had a lot of mouths to feed–I was the oldest of five children–and he was seeking alternative, cheap forms of protein for his family. Oh how this has taken me back to my childhood had no choice but to eat them. I’ve eating them before a lot when I was a child but now you can’t gay new to even have them I my house. (lol) not a good fan of these don’t like the smell, but all my siblings still eat them for the Holidays and if I know they are cooking them I stay away until they are all eating up. smile. 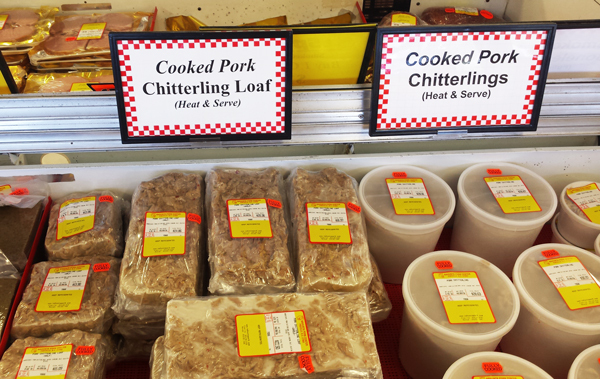 I never heard of precooked CHITTERLINGS or loaf..did you have a taste of them afterwards. I agree this POLLEN have got my allergy all messed up I’ve been doing the same thing that come alone with allergies. Wanted to go fishing as well but stayed in side because of my allergy and it didn’t really help with my husband bringing it inside. Hope you have a great day and week as well. Enjoy you CHITTERLING reading. Angela J.